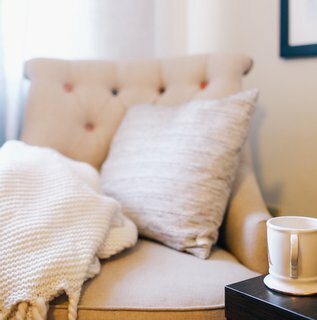 I am thrilled that this is the colour of the year. Perhaps we could have predicted it! Opposite on the colour wheel to Ultraviolet and complimentary to the 2018 colour of the year – this is a hue that will suite so many people. Its a colour that looks fabulous in a full length dress. A t-shirt or jumper. And of course Living Coral works well as an accent colour with blues and purples. Easy to wear as a lipstick and pretty on spring and summer toes as nail varnish, this is a must have colour for any 2019 wardrobe. Not sure whether this colour will suit you? 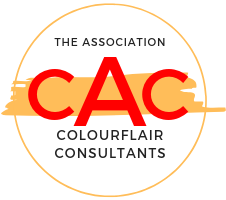 Why not book a colour analysis with one of our qualified Colourflair consultants. Email us here to find out you local consultants details. 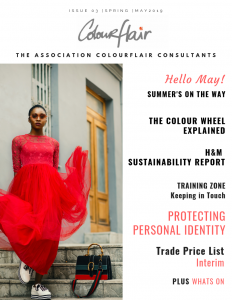 If you are interested in learning more about Colour Analysis, and training as a consultant please click here. 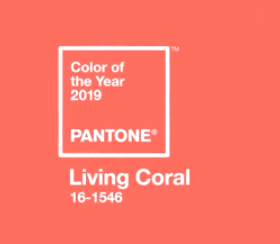 It’s going to be a lovely spring with Living Coral!